I’m a guy. It would be an understatement to say that I’m not in touch with my feelings. The other day, I found myself with a grin I couldn’t wipe off my face and a warm feeling in my chest. 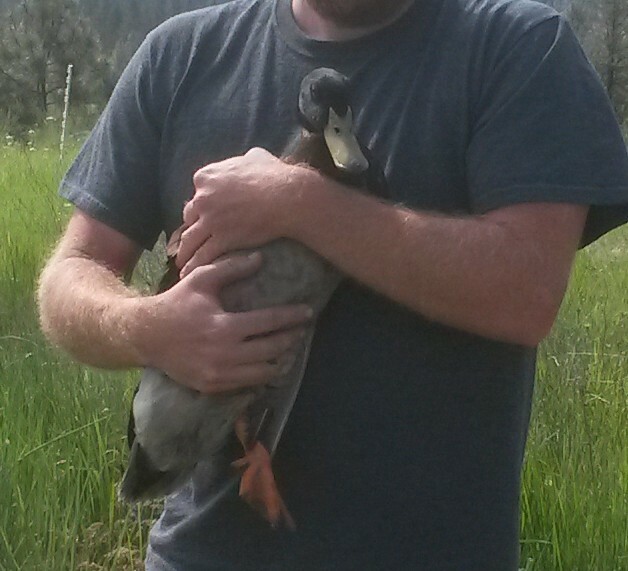 I was holding a duck. I also found myself wondering where this emotion was coming from. I hung up the phone and texted the wife. “We’re getting ducks today.” Her replies were, “Ummm” and then, “I’m on the way home.” I laughed. She was too late. The ducks beat her home. So, she wasn’t very thrilled. She’s a great spouse and I knew she’d forgive me. Eventually. We threw some hog panels together and I ran some wire through the large squares to keep the ducks in. I had a place where they could swim as long as I added water every few hours. There are seven ducks. Three boys and four girls. Five of them look like they’re mostly mallards. At least two of the girls are laying. Two of the boys are redundant. I was so pleased, looking at them. A few hours later, I was chasing ducks. This was hilarious. They got out of the panels, but wouldn’t leave the area. There was lots of racing around the panels, catching ducks, tossing them in. This has happened several times. I’ve added more wire, but at this point, I’m not worried. The ducks are staying close. I’ve handled all of the ducks now. They’re not chums, but they don’t run away when they see me. Every day, I’ve become more happy. What’s up with that? There’s this kid’s book. 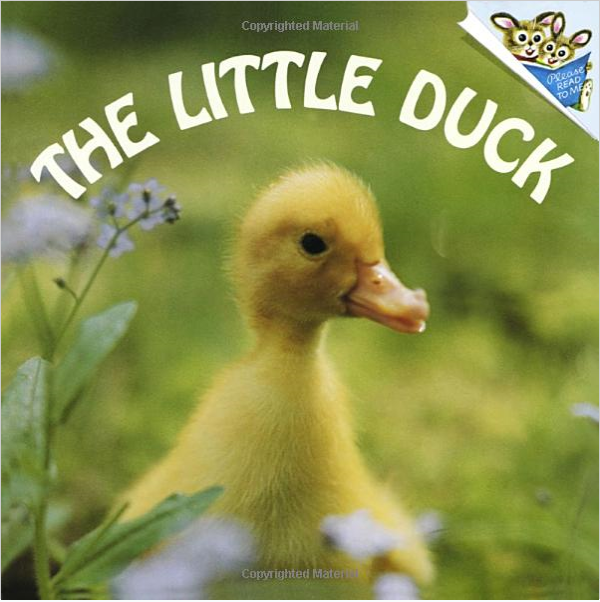 It’s called “The Little Duck”, by Judy Dunn. This was my first favorite book that I can remember. Before Dr. Suess even. I can’t guess how many times this book was read to me. I’m not going to give the plot away, because you are going to want to buy this book. I’ll get you started though. This little boy is fishing and he finds an egg in the grass. He takes it home and puts it in an incubator. As a little boy, I wanted an incubator and my own duck. I had completely forgotten about those wishes. Until thirty-*mumble* years later, when I’m holding my own duck. This entry was posted in Livestock, Poultry and Creatures Tame and Wild, Uncategorized and tagged ducks by admin. Bookmark the permalink. I read this book many times while teaching kindergarten. It is a great book. Very cool! Thanks for the memory. I remember it well!